Residents of Vero Beach are used to the tropical weather and abundant water. Whether people are frequenting one of the public beaches or hiking one of the trails, Vero Beach is an ideal spot for water recreation and outdoor enjoyment. The geography, however, plays a large part in the weather patterns that affect the Treasure Coast. Tropical storms can be very commonplace, where battering winds and rain work together to break down man-made structures. When your home is affected by this weather, garage door repairs may be in your future. 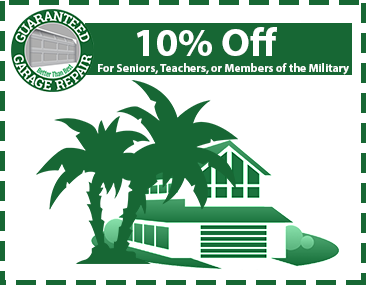 Guaranteed Garage Repair should be your first choice for residential garage door repairs! Calling for garage door repairs can be very stressful for anyone who requires the services. 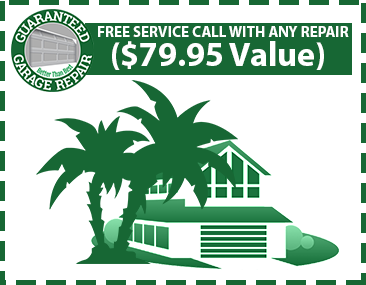 Guaranteed Garage Repair provides optimal services that will result in positive long-term results for your Vero Beach home. Customer service is the driving point behind every aspect of our business. From our comprehensive warranty programs to our certified, friendly technicians, Florida residents are always happy to see a Guaranteed Garage Repair truck arrive at their home. 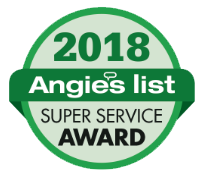 We’re proud to be your Top Rated Local® garage door repair company. Contact us today to see the Guaranteed difference and to order a free quote!